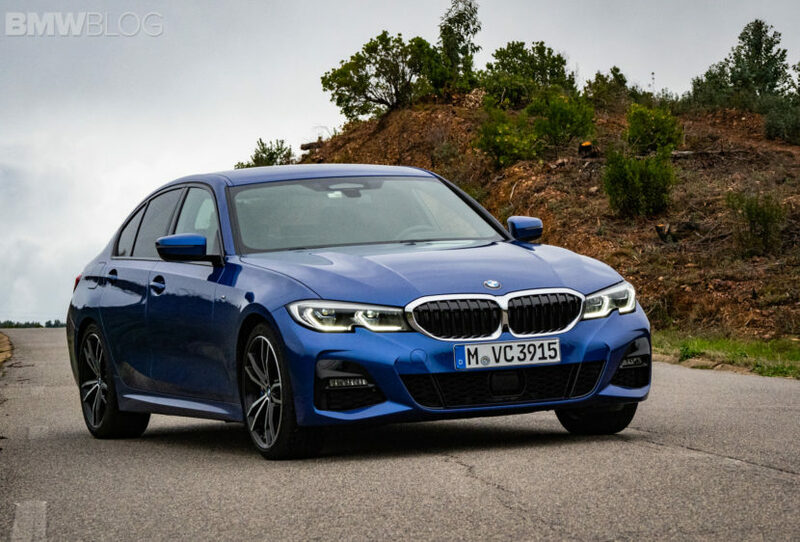 Our extensive BMW 3 Series coverage continues today with a new set of photos featuring the G20 3 Series in the Portimao Blue color. If you’d like to catch the previous 3 Series coverage, follow our dedicated section, as well as on social media: Instagram, Facebook and Youtube. The images shown below were captured on our way to the Portimao race track in Algarve, Portugal showcasing once again the great combination of the blue color and the M Sport Package. 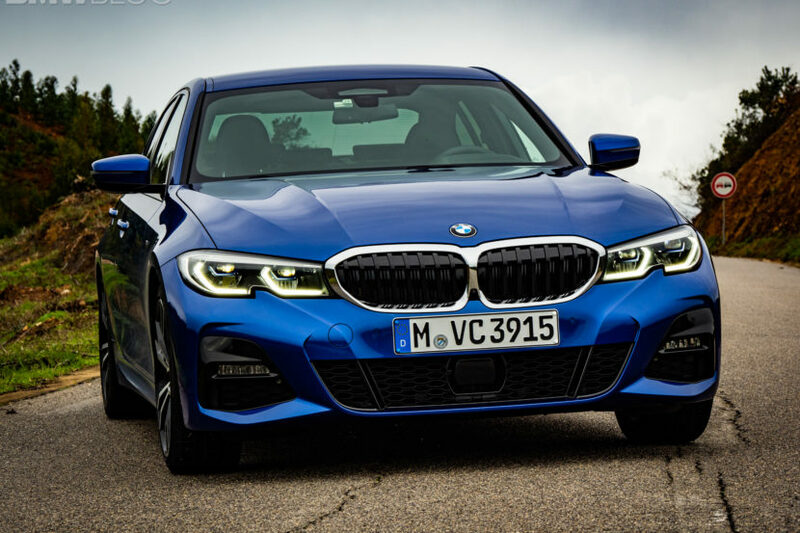 Speaking of the M Sport package, on the new G20 3 Series, the sporty and dynamic kit is now more aggressive than ever with large air intakes in the front bumper that serve as air ducts and house the fog lights. Part of the M Sport package are also the large vertical vents in the rear bumper and 19-inch trim-specific wheels. The M Sport package lowers the car by 10mm and features adaptive suspension. The package will also include the variable sport steering and the 4-piston M Sport brakes as well. If you get either the BMW 330i or 330d, a limited-slip rear differential is optional when combined with either M Sport suspension setups. The diff is an electronically-controlled unit, similar to what you’d find in an M3, and it allows for much sharper, more precise handling. The diff is as-standard on the BMW M340i. A 2.0-liter twin-turbocharged inline-four engine is part of the 330i lineup delivering 255 horsepower and 295 pound-feet of torque, up 7 horsepower and 37 pound-feet from the F30 330i. 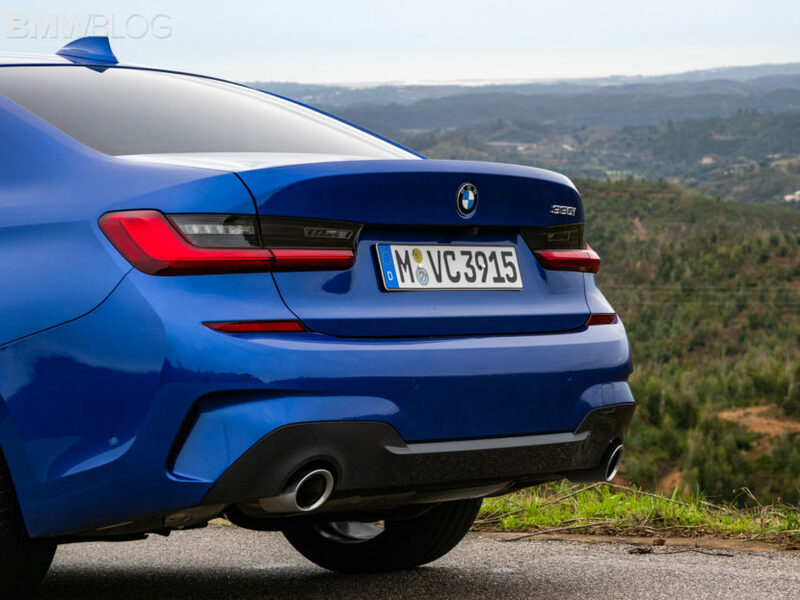 The new sedan also uses the latest ZF eight-speed automatic, which BMW claims can deliver a zero to 60 time of 5.6 seconds with rear-wheel-drive and 5.3 seconds with all-wheel-drive. Inside, it’s all new as well and it may be the most drastic change to a 3 Series’ interior yet. 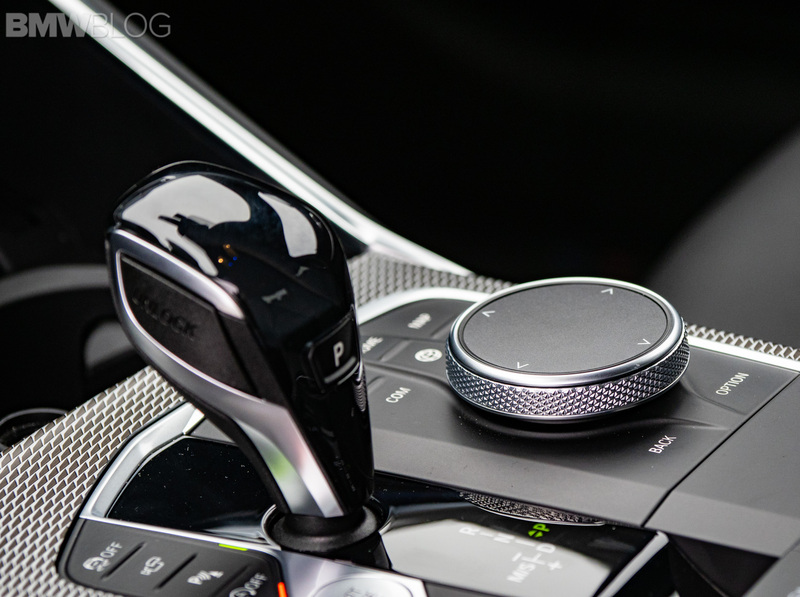 It loses a manual handbrake, something that BMW had always kept despite its competitors switching to electronic parking brakes. 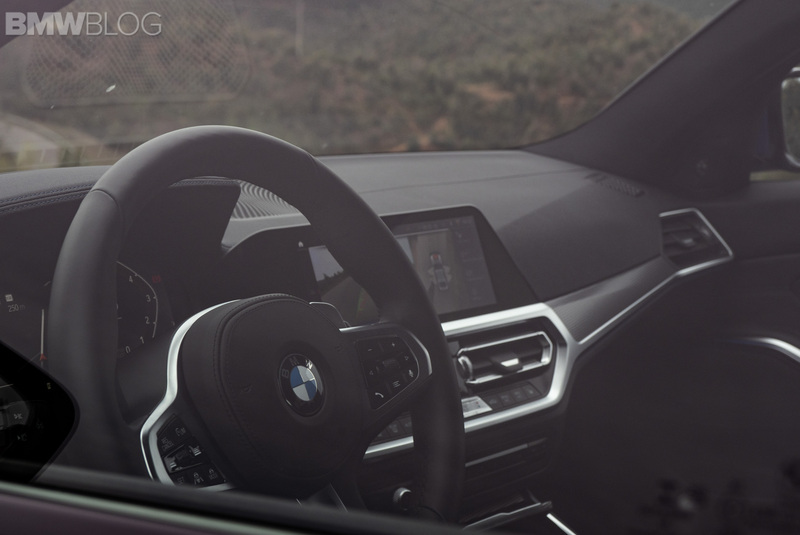 The rest of the interior follows its newer siblings such as the BMW X5 and 8 Series with a new iDrive screen down to the center console, almost all of it trimmed either aluminum or wood, depending on what the customer chooses. It’s a sharp and stylish design, far better looking than the current F30’s. On top of the climate controls sits the new iDrive screen, which features the same all-new graphics and capabilities as the new X5 and 8 Series. 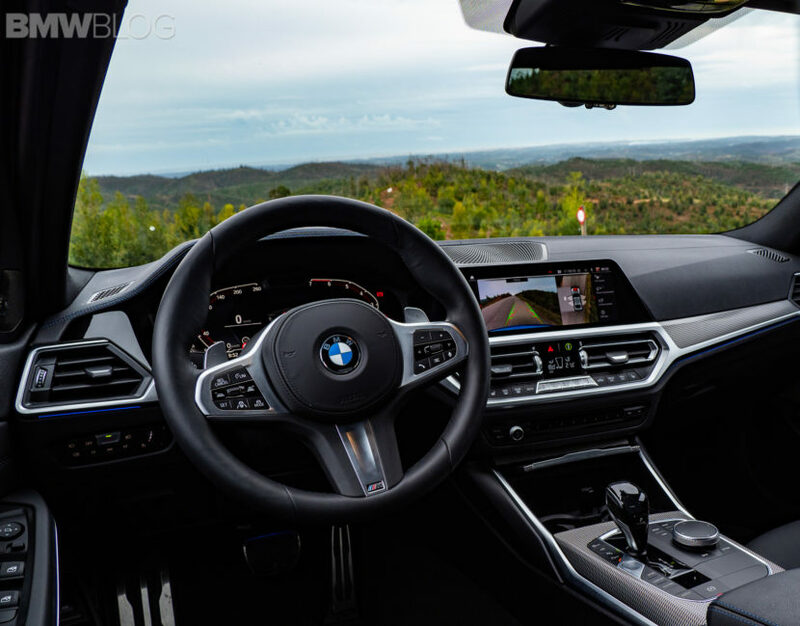 The cabin has a very high-tech feel, especially when combined with the new digital instrument panel, dubbed BMW Live Cockpit.